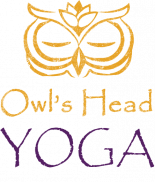 Welcome to Owl’s Head Yoga, We can’t wait to meet you! To get to know our studio and explore our classes, new students have the option to choose one of our new student introductory offers. To Clarify, a “New Student” is a student who has never been to our studio before. For students just beginning Yoga, please see our “Beginners To Yoga” for great classes and workshops to start you on your Yoga journey. Please be sure to also review our studio guidelines and policies below. If you have any questions, give us a call or use our contact form to send us a message. RESERVE your spot from our website online schedule or the MindBody Mobile App or website, or you may drop in to take a class. Some classes may fill faster than others, so it is best to sign up online to secure your spot. If you need to cancel, you should do so at least 120 minutes (2 hours) before that class begins. Please refer to our cancellation and no-show policies for further information (below). ARRIVE at least 10-15 minutes before class begins, to sign in and get settled. LATECOMERS are admitted during the first 5 minutes of class but not after that. WHAT TO WEAR: We suggest comfortable clothing that will allow your body to stretch and move easily. SHOES: Shoes should be removed and placed within the shoe cubby by the front entrance. Please refrain from entering the studio floor with shoes. PRECAUTIONS: If you have any major health problems or injuries, please make sure you have your doctor’s clearance to start a fitness practice, please also let the teacher know. You will be offered variations if necessary to help you through your practice. *Please refrain from wearing perfume/cologne and from chewing gum during class. Also, no shoes are allowed in the practice space. Children between 9 and 17 years of age, when accompanied by an adult, may take a daily Yoga class. Reservations must be made. Latecomers are admitted during the first 5 minutes of class but not after that.We can not make any exceptions. Please note, if you have not checked-in 2 minutes prior to class start time, your spot may be given to a student on the wait-list. Be mindful of other students who want to take a class but a spot is being held by a student who has not-shown or late-canceled. You must cancel your class 120 minutes(2 hours) or more prior to class start time in order to un-reserve your spot and return it to your account. Once your spot is canceled, we will return the class to the account for use on another date. If you late-cancel less than 120 minutes (2 hours) prior to class start time, you may be charged $10 to your credit card on file or added as a negative balance on your account, and your class will be returned to your account, or in some cases, may be forfeited completely. If you are on any of our unlimited class packs, you may be charged $10 to your credit card on file, or added as a negative balance on your account. All late-cancel fees will automatically be charged to your credit card on file, or added as a negative balance on your account, or the class can be forfeited completely from class passes. Monthly passes may be suspended. If you do not show up to class and do not cancel, you will may be charged the full class price ($19) to your credit card on file or to your account. It would be unfair to fellow student who may have wanted to take a class and the spot was held; And it’s good karma. All no-show fees will automatically be charged to your credit card on file or added to your account. You must cancel 24 hours or more in advance to receive credit for another workshop. If you late-cancel less than 24 hours before class starts, your workshop credit will still be deducted from your account. Wait-listing allow students to wait for a class opening when a class is full in the event another student cancels. It’s highly recommended that you have notification enabled in Mind-Body to receive waitlist notifications. Wait-listing to a full class is first-come-first-serve. If you plan NOT to attend after wait-listing or after gaining a spot, please remove yourself from the waitlist or cancel the reservation as soon as possible as a courtesy to other students who may also be waiting for a spot opening. Other students would greatly appreciate it, and you will as well. If you have added yourself into a waitlist for a class which is full, and gain a spot when another student cancels, we may consider this a standard reservation and all reservation no-show or late-cancellation policies may apply. Its best to confirm or decline your class reservation after you have been moved from the waitlist to the class. Any special offers expire as per indicated for each individual sale or promotion. All series, unlimited and annual passes are non-transferable, non-exchangeable and non-refundable. Any classes not used in duration (Expiration Date) assigned are forfeit. When you sign up for our $125 auto-renew membership, your credit card will be charged on the same date each month. * Auto-Renew members must give at least 30 days written notice to cancel or suspend a membership. I am new to yoga. How do I choose the right class? We recommend if you are new to Yoga to come and try our Yoga 101 Class. These are 75 to 90-minute classes and have extra instruction within slow-paced sequences. Another class to explore is “Simple Stretch”. This class is derived from yoga postures(asanas) and can be for those who are unfamiliar with yoga. We also offer free classes from time to time so signing up to our newsletter will keep you posted. Classes range from one hour to one hour and thirty minutes. Please refer to our class schedule for details regarding the length of classes. Can I bring my child to a class? Children between 9 and 17 years of age, when accompanied by an adult, may take a daily Yoga class. We suggest comfortable clothing that will allow the body to stretch easily, such as a leotard, sweatpants and a shirt, or shorts and a T-shirt. I’m not flexible. I haven’t exercised in years. Will I be okay? Are the classes hard? It is not necessary to be flexible to practice Yoga. If you have not been physically active we suggest you start with a Yoga 101 class or register to our beginner workshops (coming soon). Our teachers are happy to suggest what class might be specifically appropriate for you if you ask them to observe your practice while taking a class. Owl’s Head Yoga encourages students to work within their capacity and to use the benefits of the physical practice to support not only the health of the body but of the mind and spirit. Can I use my cell phone when I am at Owl’s Head Yoga? Please turn off all beepers and cell phones. This will enable other students to have a more peaceful experience. Reserve your space with our Online Scheduler or MindBody Mobile App. You may also drop into a class, but you may run the risk of the class being full. It is always best to reserve a spot. Can I wait-list for a class if a spot is not available in the event another student cancels? Yes, various classes have a set number of students who can wait for a spot opening in the event another student cancels. If you opt-in to be placed on the wait-list, and a fellow student cancels, you will be notified via email or text message that you were moved from the wait-list and now have reserved the class (You should have notification enabled within Mind-Body). Wait-list students are first-come-first-serve. If you plan NOT to attend after wait-listing, please remove yourself from the waitlist or reservation as a courtesy to other students wanting a spot. Please also ready our policy on wait-lists above. Mailing list for event information and offers. Get addition information on future offers and events.